We wonder why the interest of the world community is focused so much upon the tiny Land of Israel today. Well, we watched with fascination and fear in the Shmittah week of Year in 2001 at the destruction of the Twin Towers of the World Trade Center. We then watched with wonder and again fear when the 2008 New York Stock Market crashed on the eve of Rosh Hashanah 2008, 777.67 points, the number of G-d.
Let us not forget it was the same Divine finger of HaShem, the One-G-d of Israel that wrote on the walls of the palace in Babylon and warned King Belshazzar, “your days are numbered” also wrote on the Walls of the New York Stock Exchange on Rosh Hashanah 2008. The “Land of Promise” was created and developed by the Lost 10 Tribes of the House of Israel, known today as the 13 Original Colonies on the Atlantic seaboard of America. The reason for the 13th Tribe was that the House of Joseph was blessed by the Patriarch Jacob and the House of Joseph was given the double blessing and the inheritance of two tribes; the Tribe of Ephraim and the Tribe of Manasseh. So was it a coincidence that the exact number of the 2008 Stock Market collapse, 777.67, was the number of the Almighty One of Israel, 777, plus the Jewish Year of 5767. Within hours, as the Jewish congressmen who voted against TARP were heading home for Rosh Hashanah and as the sun set on the western horizon of the United States, the Jewish year of 5768 began. This produced divine closure to Rabbi Yitzhak Kaduri’s prophecy given seven years earlier that the onset of the Gog-Magog War III (GogUMogog III) that was also called President Bush’s “War against Terror” or the “War on Terror” would begin on Hashanah Rabbah, the 8th day of Succot in the Jewish year 5767. And so it did, when the sun rose over the mountain tops surrounding Jerusalem, the mighty aerial power of the United States entered the national air space of Afghanistan and the War against Terror now turned to the former homeland of the Lost Ten Tribes of the House of Israel; the Nation of Afghanistan. It was the year of 2001. The war against Osama ben Laden and his forces called Al-Qaida began with the aerial armada blasting the mountains of Tora-Bora between Afghanistan and Pakistan. It failed. In another 7 Sabbatical Week of Years in 2008, the mighty aerial power of America created by the Lost 10 Israelites of Great Britain, Ireland, Scotland, Scandinavia, the Lowlands of the Netherland and Belgium, plus French Saxons and the Germanic Ostrogoths, Visigoths and the Vandals was beginning to falter. It was now the time for the Imperialist nation of the United States that rose from the ashes of World War II (GogUMogog II) would begin to meet her destiny of destruction. The wars in Iraq, Afghanistan and throughout the Middle East had sapped the strength of “America the Great”. She was now teetering along with the European Union in what is now predicted to become the largest Sovereign debt default in the history of the world. Of interest, the prediction of the ancient Jewish sage, Rabbi Yitzhak Kaduri of between 108 to 115 years of age was not unlike the predicted fall of Ancient Babylon. In that era over 2,500 years ago, the Lost-10-Israel military army under the rulership of King Cyrus the Great, of the Lost Israelite Pasargadae tribe of Gad, was tunneling under the majestic walls of Babylon. Within hours, the Jewish people in captivity in Babylon were now liberated without shedding one drop of Jewish blood. The same finger of the Divine weeks earlier was also guiding the eventual economic standstill of the United States in the new Jewish year of 5768 (2008) as Hurricane Ike, an economic weather war, plowed a wide path of destruction from Houston, Texas to Chicago, Illinois. Were these times of judgment upon the 70 Gentile nations on Planet Earth? Or were they times of judgment specifically for the Lost Ten Tribes of the House of Israel once living in Northern Gaul, known today as the European Union. The economic turmoil in the wake of Hurricane Ike and the NY Stock Exchange Crash almost literally brought the world economy to a halt. At the same time, all the eyes of the world were upon Israel. In many of the past Shemitah Week of Years the economies of the world began to collapse before the 29th of Elul 29. Yet the aftermath continued further on past that date into the Shmittah’s autumn wake of the next Jewish year. But what about today? Whether or not the present world 2016 economic cycle collapse continues, stock market traders in the year 2015 have witnessed the Shemitah again at work. It has followed the same pattern, employed the same dynamics, and manifested the “ancient mystery” of “shaking” the ancient empires with destruction and ruin; this time to the modern imperial forces of America, Europe, Russia and China. As documented in The PGM Capital Blog, written by Eric Panneflek and other sources, we can now outline the Shmittah Week of Year cycles over the 100 year decades from the year of 1917 to 2017 as the world economic marketplace rhythmically gyrated in tandem with the Shemitah years starting in the year of 1917. Rabbi Judah ben Samuel - “When the Ottomans (Turks) – who were already a power to be reckoned with on the Bosporus in the time of Judah Ben Samuel – conquer Jerusalem they will rule over Jerusalem for eight jubilees. As we now begin to perceive the Shmittah Week of Year cycles of Seven Years ending on the 7th Shmittah year then enters the 8th Year when expectations are very high for the arrival or revealing of King Messiah. After Seven Shmittah Week of Year cycles (49 years) then the 8th Year becomes a Jubilee Year where life is renewed and debts are cancelled. This all is in expectation for the elevated era of human consciousness called the “Era of the Messiah” when HaShem, the G-d of the Jews and the Lost Ten Tribes of the House of Israel restores all things on Planet Earth to Gan Eden (Garden of Eden) when Jerusalem expands to cover the entire Middle East and the Holy Land of Israel expands to cover the whole earth. And so this cycle has continued unrelentingly for the past 100 years (1917-2017) amazingly in fulfillment to the Prophecy of Rabbi Judah ben Samuel. As we see again, the one hundred year cycle began in the year of 1917 when the First GogUMagog War (World War 1) began. According to the spiritual insight of the Chazal, sages of Judah, the onset of World War I and the British signing of the Balfour Agreement led to the creation of the State of Israel in the year 1948. The last 7th Shmittah Week of Years and Jubilee Cycle before the “Era of the Messiah begins. List of Shemitah, Sabbatical week of Years cycles and major World Events that occurred in the 100 years between 1917, the Year of the Balfour Agreement and the Year of Jubilee in 2016 before the Era of the Messiah begins. 46% of the US Stock market value wiped out. 40% of the US Stock market value wiped out. The 1917 Russian Revolution and the collapse of the Russian government. Britain, the world’s greatest empire almost bankrupt. The Rise of America (Homeland of the Lost Tribes of Ephraim and Manasseh of the House of Joseph) to World Power status. The Death of the Soviet founding father of Marxism and Leninism and spearheaded the Bolshevik Revolution in the Jubilee Year of 1917-1918, Vladimir Lenin, (January 21, 1924) whose maternal grandfather, Joseph Blank, was born Jewish; Joseph Stalin wins power struggle for control of Russia as Secretary General of the Soviet Union in 1924. 86% of the US Stock Market value wiped out in the worst financial crisis in modern history when the stock market peaked in a frenzy of speculation on August 1929 and on “Black Tuesday”, October 24, 1929, the 1929 New York Stock Market Crashed. It then spiraled into the Great Depression of 1929-1939. By 1933 half of the banks in America had failed and 30% of the American workforce was unemployed. September 27, US President Roosevelt sends letter to German Führer, Adolf Hitler seeking peace. Hitler marches into Austria, Führer Adolf Hitler seeks peace. September 30, the Munich Agreement is signed by Germany, France, United Kingdom and Italy to appease Hitler and allow Germany to annex the Czechoslovak Sudetenland in exchange for peace. 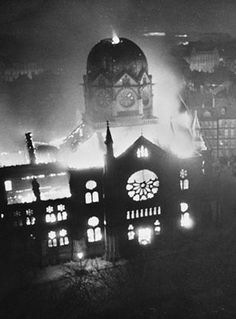 November 9, 1938, the Kristallnacht anti-Jewish pogrom (“Night of Shattered Crystal”) began in Germany; when more than 1,000 Jewish Synagogues were burned or damaged, 7,500 business were ransacked, 91 Jews murdered, and the deportation of 30,000 male Jews to the concentration camps in Dachau, Buchenwald and Sachsenhausen. The beginning of the end for Jews begins in Germany. End of the German Reich and Britain’s hold on territories. Establishment of IMF and World Bank. On August 6, 1945, the American bomber Enola Gay dropped a five-ton Atomic bomb over the Japanese city of Hiroshima; the End of WWII. World War II (GogUMogog II War) ended on August 19, 1945. United Nations established on October 24, 1945. Model of World Trade Center designed. Establishment of European Coal and Steel Community. Treaty of San Francisco officially ends World War II. Establishment of European Economic Community. 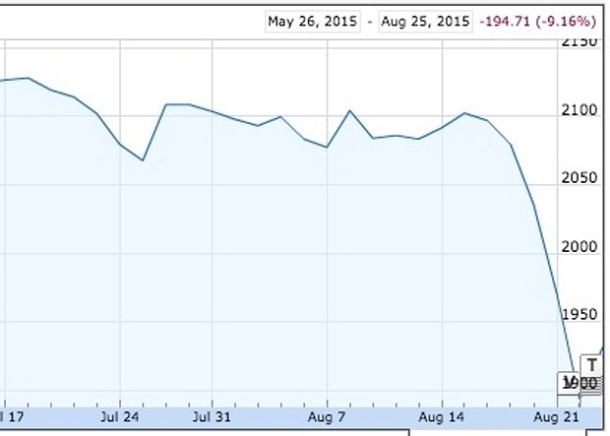 23% US Stock Market value wiped out. 1967 6-Day War between the State of Israel and the Islamic Nations of the United Arab Republic of Egypt, Jordan and Syria between the dates of June 5-10, 1967. 48% of the US Stock market value wiped out. America voted to legalize abortion and the human fetus was no longer considered a human being. The Prophetic GogUMog War III as the “War on Terror” which started on 2001 would reach its fulfilment 7 years later as the Shmittah year of 2008 closed. 50% of the US Stock Market value, at $1.2 Trillion was wiped out, as compared to the Great Depression when 90% of the US Stock Market value was wiped out in Global Recession. On the eve of Rosh Hashanah, September 29, 2008, the $700 billion bailout package called TARP was sent to Congress by Hank Paulson and Ben Bernanke. With its rejection by the Senate the Dow fell 777.68 points (777 the signature of G-d and 68 when the crash occurred on the Jewish Year 5768). It was the largest decline in any single day in history. By Yom Kippur, ten days later the Dow had dropped 800 points, the economy had lost 159,000 jobs in September and the Dow contracted 13% throughout the months. Peaking at 1300, in August and September 2008, the Stock Market closed on November 20, 2008 at a new low at 7,552.29 and ended the year at 8,776.39, down 34% for the year 2008. The 14-year anniversary (Two Shmittah Week of Years) since the Destruction of the Twin Towers of the World Trade Center in New York on September 11, 2001, 3 days before Rosh Hashanah. Planned Parenthood was discovered to be Trafficking Embryonic Babies for profit. Harbingers predicted for America and Europe as 100,000 Muslim Syrians flee to Europe and America. What is of most interest is the profound fact that those recognized as the “Gentiles of the Nations” by the Jewish Orthodoxy are also still very much a hidden fact. They are the “Hidden Ones” that G-d sent as emissaries throughout the world. They are the Lost Ten Tribes of the House of Israel. It was they who were sent into exile to the region of the land of the Medes in ancient Khorasan around and between the Black and Caspian Seas, today in Northern Iran, Western Afghanistan and Eastern Pakistan. It was the ancient Lost 10 Tribes of Israel, known as “The Wanderers” who migrated to the west over and below the Black Sea, traversing in the footsteps of their Tribal Brothers Dan, the rivers named after the Tribe of Dan as the Don (Dan) River, Dnieper (Danieper) River, Dniester (Daniester) River and then floated up the Danube River to the region of Denmark (Danmark). Yet, as we have analyzed the data to date, the evidence appears immutable; that is unchanging over time or unable to be changed. We see this evidence as the nations and empires of the world rise and fall under the baton of the Divine Maestro and every 7-year cycle dance they dance to the rhythmic wave-cycle of the 7 year Sabbatical Week of Years. Is this a coincidence? Why are the global wars around the world so indelibly tied to the Jewish Festivals of the G-d of Israel? At the 50th year, the Seven times Seven Sabbatical Week of Years now sits on the Jewish Jubilee Year of 5776. Is it a coincidence that the end of the 5000 years of man or the 5 millenniums of man is now fading into the star-dust of history? In one year from now, in the Jewish year of 5777 (5 thousand plus 777, the signature of the Almighty One of Israel will now be engraved on the lintel of everyone’s doorpost as Planet Earth awaits the final judgment of the G-d of Israel. Are we prepared for the “Era of the Messiah” to begin?